We offer a full range of Valrico property management services tailored to you as an investor, homeowner, or landlord. 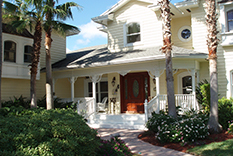 We have an extensive portfolio of single family homes, townhouses, condos, and apartments in the Valrico area. 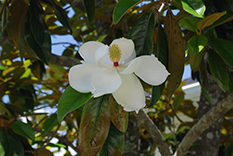 Valrico began as a region of cotton plantations known as Long Pond. The arrival of the Florida Central and Peninsular Railroad in 1890 brought many new immigrants from points north. William G. Tousey, a philosophy professor from Tufts College, gave the community its current name, Spanish for "rich valley". Located east of Tampa on Valrico Lake, the city of Valrico is a modern unincorporated city of some 70,000 residents. Residents enjoy all of the benefits of living in a small town while having access to all of the big city amenities that the metropolitan city of Tampa affords. The area is easily accessible to all parts of Tampa by the Leroy Selmon Expressway, State Road 60, Interstate 4, Interstate 75 and a number of county roads with driving time of approximately 15-20 minutes. Valrico real estate options consist of single-family homes, a small selection of condominiums and townhouses as well as land lots for custom home building. Area recreation includes Little League baseball, several parks such as Valrico Park, and water activities on Lake Valrico, Hillsborough Bay and Tampa Bay. There are several nearby nature trails and dozens of golf courses—including Diamond Hill Golf and Country Club—both locally and within the surrounding communities. Students living in Valrico are served by the Hillsborough County School District and, due to the rapid growth of the area, new schools are opening. The driving force of the area’s economy includes technology, agriculture, the military (MacDill Air Force Base) and of course, tourism, making Valrico an excellent place to work and live.